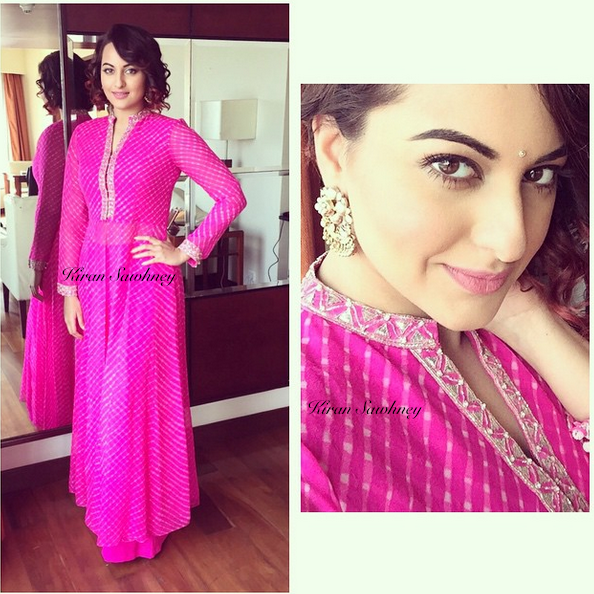 Sonakshi was in Ahmedabad to promote her movie Tevar. 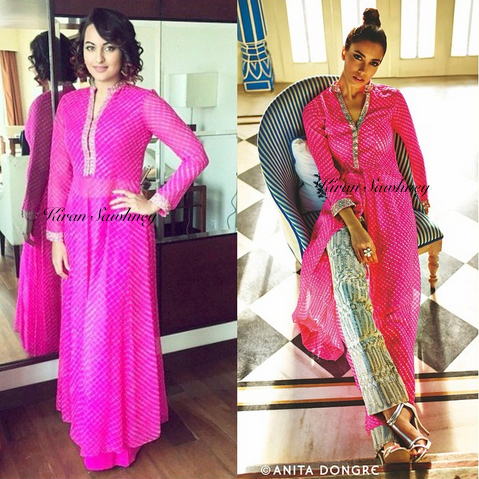 She wore Anita Dongre outfit and teamed it with earrings from shopviolla. We must say that it is a suit from our favorite designer, we love her collection of leheriya. This is a beautiful color. Sonam Kapoor had worn bandhini in same color by Anita Dongre and we had gushed with delight. Sonakshi has not been able to evoke same reaction from us. Sonakshi's look feels incomplete and is lacking in finishing touches in terms of styling. Anita Dongre's original styling with printed trousers would have been a better option.